I sometimes wonder if Timothy Dakin ever thought about what his farm would be like in 200 years when he settled it in the beautiful rolling hills of the Champlain Valley in 1792. I like to think that he'd be pleased that the same family has owned, operated and loved the farm for the past 50 years, and that we still perform many tasks in time-honored ways he might recognize — slow smoking meats over smoldering corncobs, and collecting sweet maple sap just before spring arrives. While flying as a fighter pilot in the Vermont Air National Guard my father, Sam Cutting III found Dakin Farm in 1960 and moved his young family into the original farm house built in 1792. 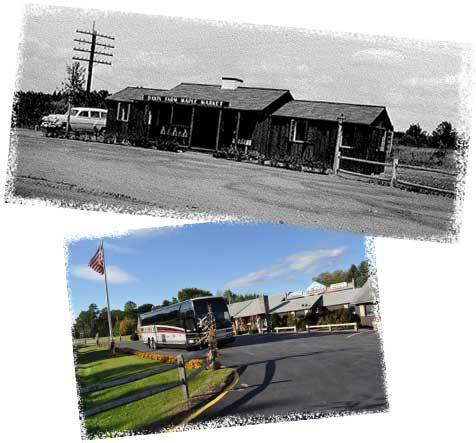 At that time, the farm included a small road side stand (pictured) which was called “Dakin Farm Maple Market” named after Timothy and his descendents who owned Dakin Farm until 1940. Over the years, the farm gradually grew. First came the maple syrup, then, Sam the 3rd learned how to smoke ham and bacon according to the farm’s original 1800’s recipe over glowing corn cob embers in an old wooden barrel. He quickly out grew the barrel, but, the recipe for smoking meat never changed; a long, natural smoke over glowing corn cobs to produce a golden bronze color, sweet smoky aroma and flavor beyond compare. After graduating from the University of Vermont with a marketing degree, I joined the family business full-time with the dream of shipping the unique flavorful foods of Vermont to folks all over the country. Little did I know at the time the wonders of the Internet that lay ahead! While we have kept things up-to-date with a USDA inspected meat plant and the convenience of internet and toll-free ordering 24/7 we still retain the farm’s original recipes and a country sense of quality and value. In addition to the cob smoked ham and bacon that started it all, we have added unique flavorful sausages, smoked turkey, spiral sliced and maple glazed ham and so much more. The sweet, mild smoke of corn cobs combined with the unmistakable flavor of Pure Vermont Maple Syrup make a spiral sliced ham from Dakin Farm one that you will never forget once you taste it. In the Spring of 1992 I became president of Dakin Farm. When I am not out hiking, biking or skiing with my family and friends, you’ll find me hard at work at the farm. It’s a lot of hard work, but, I wouldn’t trade it for any other job. I couldn’t do it all without the help of my wife Nancy. Today, our three daughters are helping out on the farm during maple sugaring season and the busy summer months as my sister and I did when we were young. I hope they will come to realize that they are walking in the footsteps of their grandfather and grandmother in carrying on the family tradition at Dakin Farm. 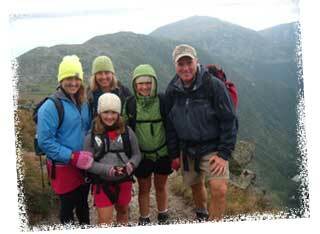 If you ever come to Vermont I sure hope you’ll stop by to meet our family. 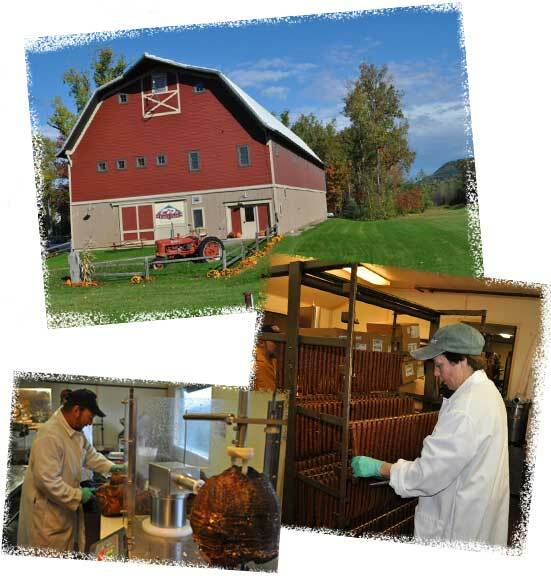 We’re proud of our farm, our production facility and the Vermont Family Tradition we represent. It’s always a pleasure to show off our maple syrup cannery and USDA inspected smokehouses. If you can’t visit, however, we are always happy to send you a taste of Vermont no matter where you live.